Melville Y. Stewart. 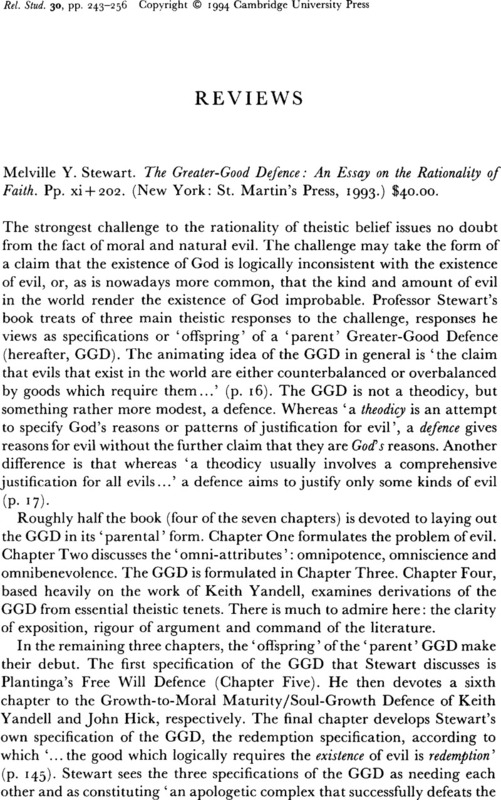 The Greater-Good Defence: An Essay on the Rationality of Faith. Pp. xi+202. (New York: St. Martin's Press, 1993.) $40.00.